Nancy Clare Blackwell went to be with our Lord and Savior on Friday, April 12, 2019. Nancy was born in Chicago, IL November 3, 1938. She was the daughter of the late Clarence and Leona Hoffman. Nancy is survived by her loving husband William E. Blackwell of Northville, MI, her eldest son Scott W. Blackwell, his wife Lisa and children, Nickolas, Jordan, Josef, Brianna and Shane, her youngest son, Christopher B. Blackwell, wife Kerri and sons Clayton, Chase, Caleb and Caedan. Nancy is preceded in death by her son Stephen H. Blackwell. Nancy is also survived by her two sisters Judith Campbell, Diane Schuster and her husband John Schuster. She is also survived by her loving nieces and nephews Mark Campbell (Lori, Trenton Bo, Shane, Ty), Pamela Adkins (David, Ava, Bailey) and Amy Borzymowski (Dan, Jack, Lucas) and was preceded in death by Debbie Antonello (Bill, Kristen, Brent). Nancy was raised in Redford Township, graduated from Redford Union High School, she later attended Western Michigan University where she received her Associates Degree in Business Administration. She met William (Bill) her husband of 60 years at WMU, Nancy was a sophomore and Bill was a strapping senior who was a pitching star on the baseball team. Nancy and Bill married in August of 1958. Nancy and her growing family soon settled in Southfield and later Farmington Hills, MI. Nancy was an extremely involved mother, active in all of her son’s activities including sport, boy scouts and Sunday School teaching. 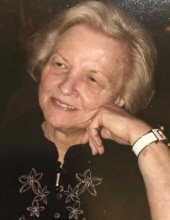 Nancy was a lifelong member of Covenant Community Church in Redford Township. Nancy’s passion was her family, her husband, children, grandchildren and sisters. Certainly everyone who knew Nancy has been touched by her – Nancy was a “greetings card angel”. She never missed sending a personal card on that special occasion when someone needed a kind word, sympathy or congratulations. It wasn’t unusual for Nancy to send 10 greeting cards in a single week. We have all been touched by Nancy, she is now with our Lord and Savior worshipping him. A Memorial Service will be held for for Nancy Blackwell at Covenant Community Church, 25800 Student, Redford Township, MI 48239 Friday, May 10th at 10:30AM. A luncheon will be immediately following in the church reception area. "Email Address" would like to share the life celebration of Nancy Clare Blackwell. Click on the "link" to go to share a favorite memory or leave a condolence message for the family.